Sad little books and audio treats that somehow put a smile on your face and a little warmth in your heart. At work before the sun comes up and the customers pour in. Many many many years(1998?) ago 2 zines came to us, a single Scratch and a single Chicken Head records. They were filled with errors, awkward interviewing, obscure columns…..they were REAL.They were PERFECT. 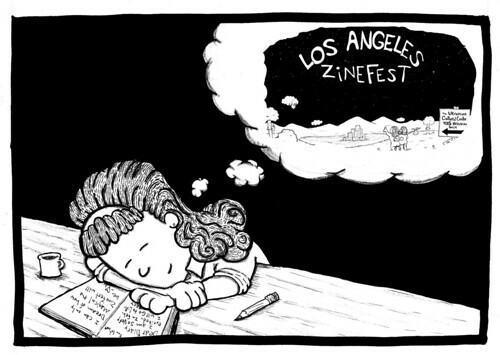 They were our first awareness of ZINES. In 2010, Gag Me With A… entered our lives and inspired us to COMMIT to self-publishing. Allow for mistakes. Mistakes are beautiful. Put your thoughts into action and good luck. Little Boy: wide eyed, open mouthed, and with a fresh little book in hand, he runs away. And just like that, the next generation of ZINE-MAKER was born. For more, check out www.lunablueartcollective.com.